A Substantial New Build Four Bedroom Detached House, set in the convenient central location of Poyston Cross. The property has been built to a very high standard and benefits from oil central heating, UPVC double glazing, and solar panels. This modern accommodation briefly comprises: Entrance Porch, WC, Living Room with feature log burning stove, Dining Room with sliding doors to the garden, Kitchen fitted with integrated appliances and wall and base units and Utility with sink and fitted units on the ground floor. 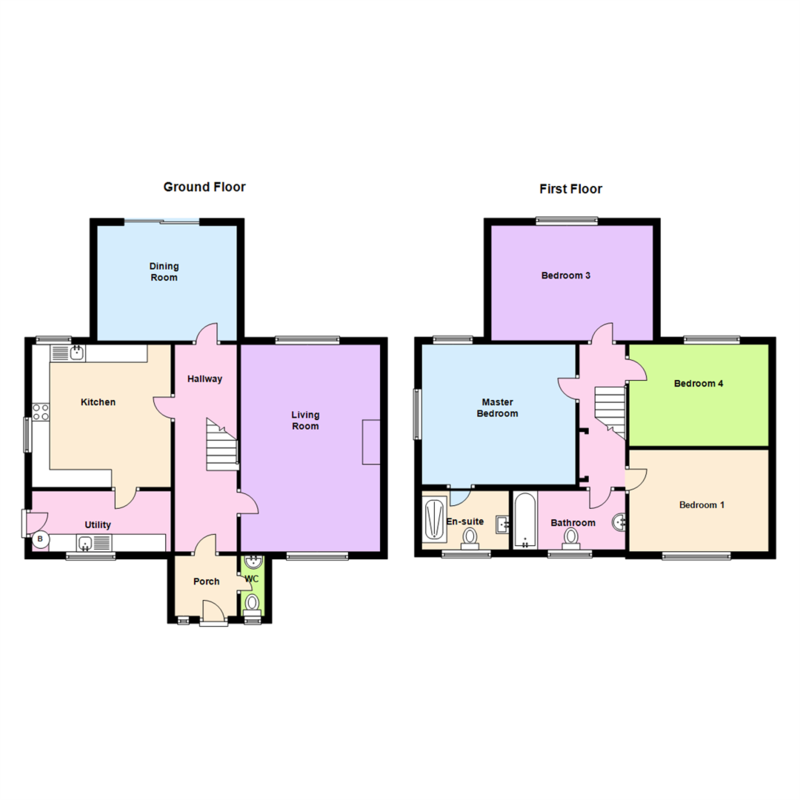 Upstairs leads to Three Double Bedrooms, Master Bedroom with En-Suite Shower Room and the Family Bathroom. Externally, to the front is off-road parking for two cars with plans for paved driveway. The fenced garden to the rear has access through a gate out to the back road and is laid partly to paving with a lawn area. Viewing is highly recommended to appreciate all this property has to offer. Crundale is approximately 2 miles from the town of Haverfordwest. It is a popular and sought after location and has its own village post office and community centre. Haverfordwest with its range of shops, schools, hospital and amenities is only approximately 2 miles away. See our website www.westwalesproperties.co.uk for our own TV Channel with Location Films of the area. VIEWING: By appointment only via the Agents. TENURE: We are advised: FREEHOLD. SERVICES: We have not checked or tested any of the services or appliances at the property. Please note that there is important information relating to the property that we need to discuss with you prior to your viewing this property. Please ask our staff for further details.